The Salthouse with its sumptuous rooms, inviting restaurant, decadent furnishings and waterfront setting has a reputation for being the epitome of luxurious living. To make matters even better, this summer the Hotel is offering fantastic deals for families. Until the 4th of September, kids stay free at The Salthouse! This exciting offer means that for each adult that stays at the Salthouse, a child can stay for free (up to 12 years of age). 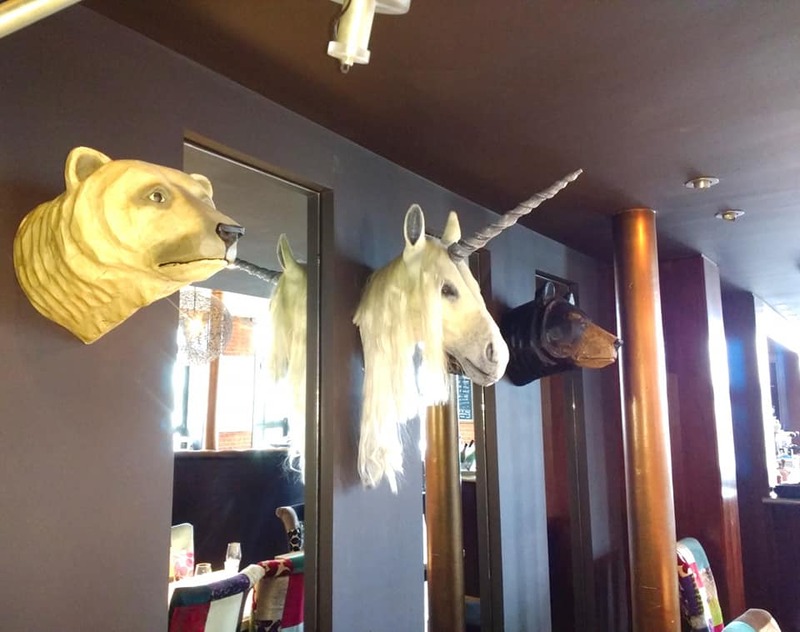 The Salthouse’s bold colours, quirky styling with varied and occasionally amusing pieces; such as the unicorn head that hangs in the restaurant and the knight that stands proudly in the hallway, lend themselves perfectly to keeping children intrigued. The scenic view, lavish furnishings and indulgent bedroom décor give parents the luxury they deserve. Ipswich is full of exciting activities for families. Possible excursions range from visiting Ipswich Museum, feasting on an ice-cream in Christchurch Park, cruising down the Orwell River, to running loose at various children’s indoor & outdoor centres. So why not whisk your family away for a few fun filled days, exploring with the children during the day and relaxing in indulgent surroundings in the evening? The best of both worlds! The great summer offers do not stop there! In addition, kids eat free at The Salthouse until the 4th of September and for every adult that orders a meal, one child gets their own meal free (only available till 6pm on Saturday nights). This offer is available on the “Little Buoys and Gulls” menu which features a range of delicious nutritious meals, designed with local ingredients such as Suffolk sausages, as well as scrumptious desserts that are sure to have your children’s taste buds tingling. This all sits nicely alongside The Salthouse’s enticing, delicious main menu featuring fresh organic ingredients, locally sourced where possible. You can savour a delicious meal whilst admiring the spectacular marina view, content in the knowledge that you are getting a great deal. Step back into luxury this summer with The Salthouse.